I have a farm history; my family comes from a small town of 400 people in the Northeast part of the state of Indiana, USA. I worked on a farm for about eight summer of my life, and went to a High School called Prairie Heights, the FFA or Future Farmers of America was the main organization in the my School. 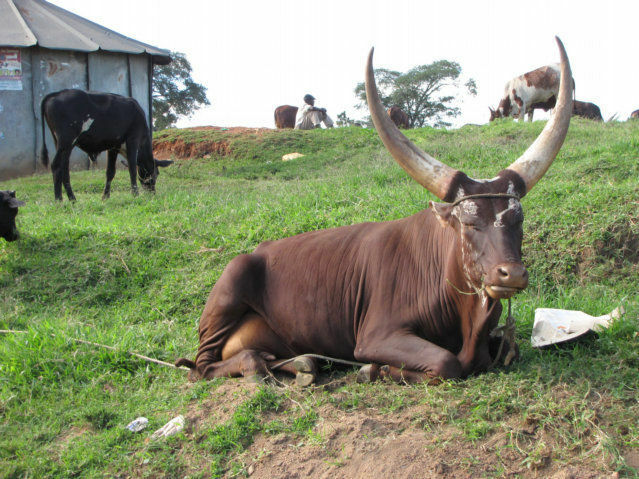 I am here in Uganda, Africa looking at cattle and asking myself questions about the Horns on cattle and realize, I do not know as much as I think. 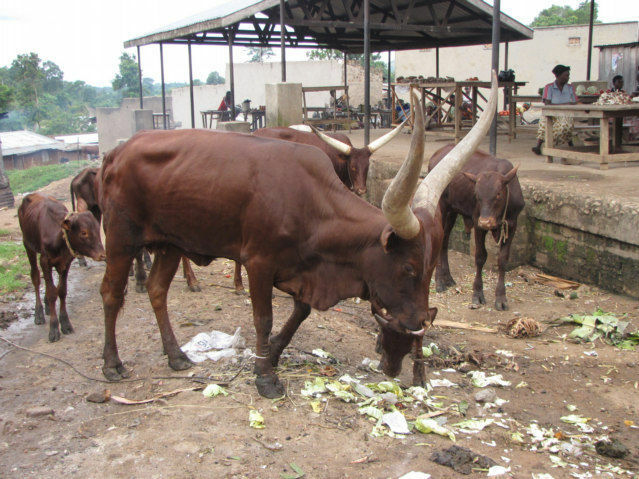 Which breeds of cattle have horns? What would a Holstein look like with horns? 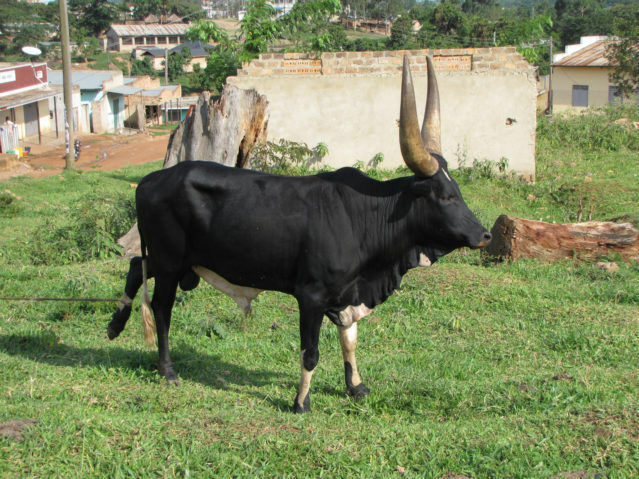 Which breeds of cattle grow horns? I am sure my friend Gary in Boston with a MBA making ungodly amounts of money can answer all these questions, however so far in the past he has had problems figuring out how to make comments. Maybe our new simplified comments section will allow the non-binary, non-techie Gary to comment and enter the fray. Truly only about 10 percent of readers can figure out how to make comments with the Blogger.com or WordPress System, the systems are not user friendly… I have tried to get Gary to comment on history and geopolitical issues in the past, and he bounced off the Blogger.com system, my Mother for sure does not understand how to comment, maybe our new self made system will work and allow the other 90 percent to play. Mom, give it a try, I think you can make comments now. What Breed of Cattle is this Gary? I think this is the Bantu Breed, however in a PC correct world she is maybe Ganda, Nyankole, Kiga, Soga, Iteso, Langi, or Acholi. When I ask people what language they speak in Uganda, they say Ugandan. Ethnic groups are normally called by the language more than the tribe; there are some true problems with word when defining culture, the very culture being defined does not know their label. 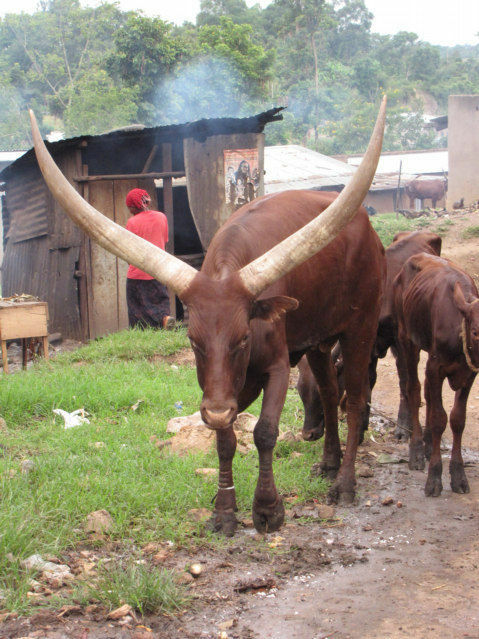 Ok, Gary, I know you like a challenge, what are the cultural or motivational reasons for allowing these cattle to have horns? 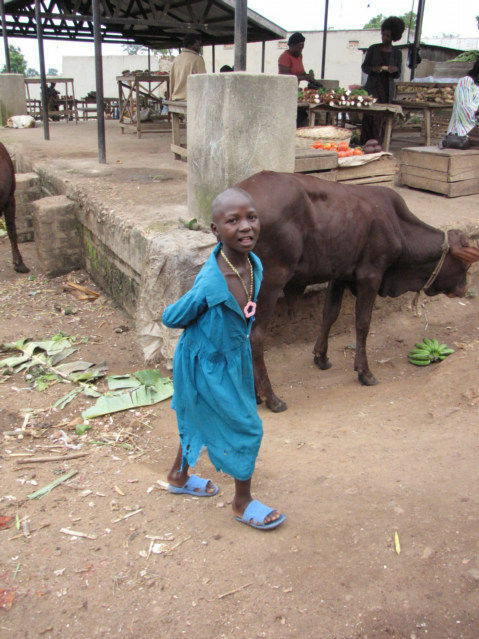 Note, most cows on planet earth have their horns removed for many reasons. Gary, I gave you a couple of side views, this should help.